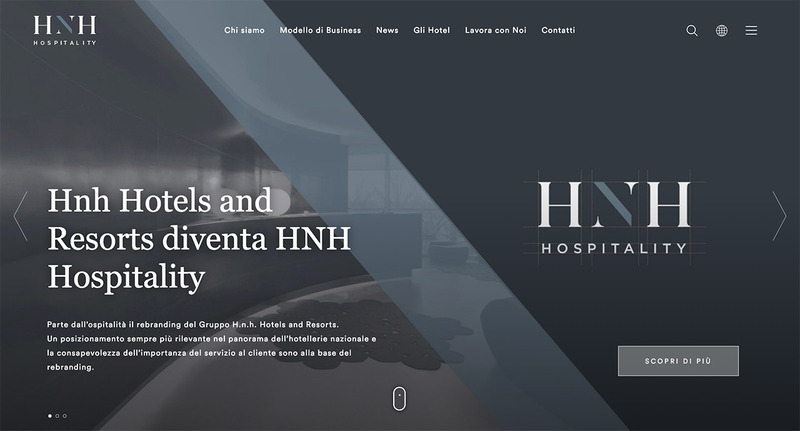 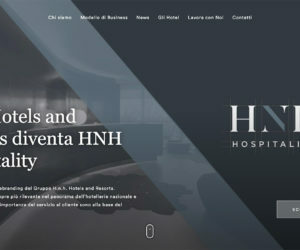 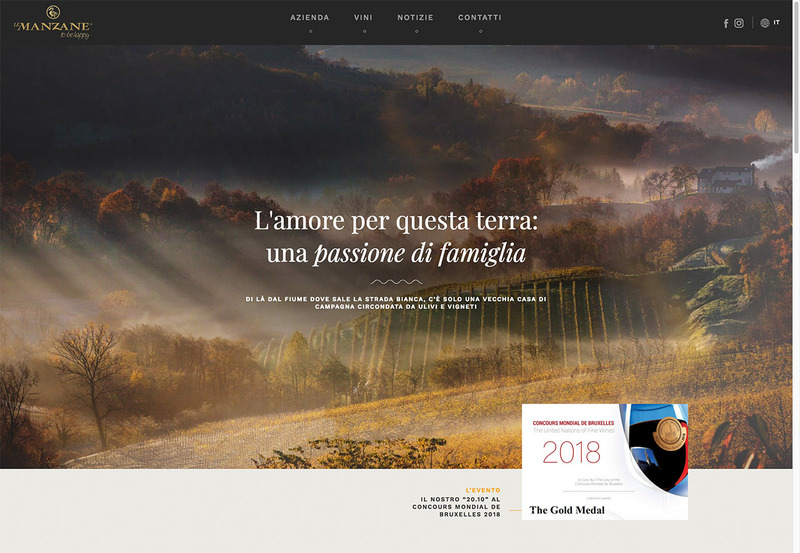 HNH Group is one of the leading independent hospitality operators in Italy, preserving its clear vision and original values of family-managed hospitality. 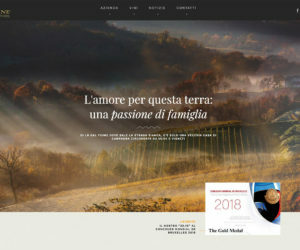 Le Manzane is a wine maker company in the Prosecco valley. 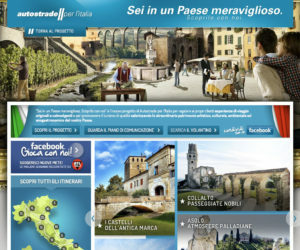 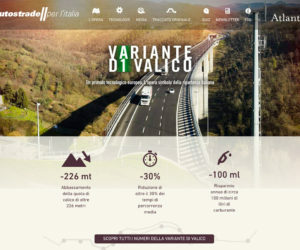 Autostrade per l’Italia is the leading European Concessionaire for toll motorway construction and management, and for related transport services. 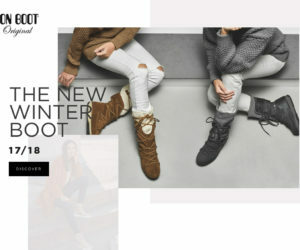 Moon Boots are footwear first created in the early 1970s by manufacturer Tecnica Group of Giavera del Montello, Italy. 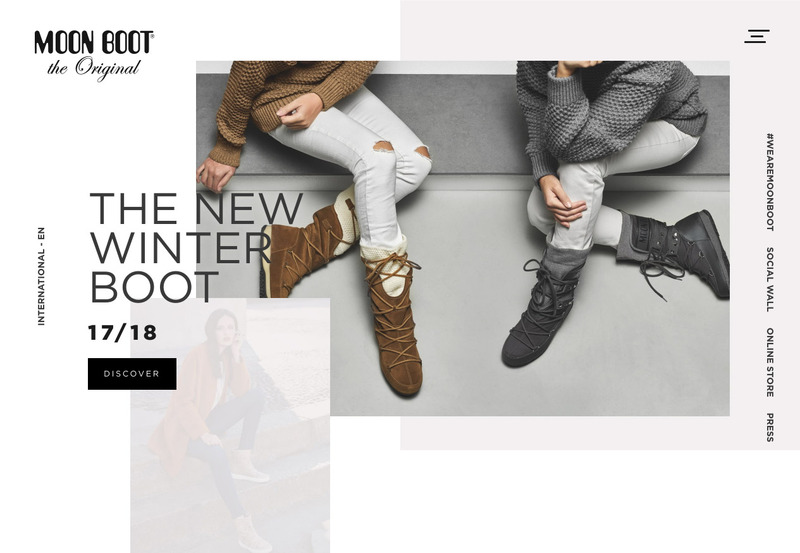 They became a notable fashion trend throughout the 1980s. 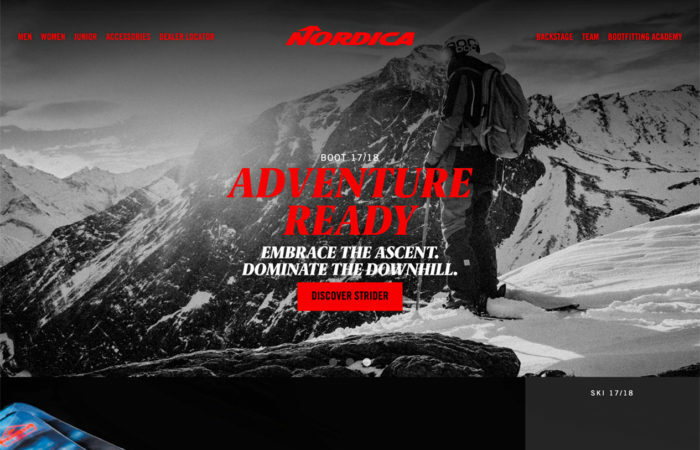 The Nordica brand, established by the brothers Adriano and Oddone Vaccari in Montebelluna (Treviso, Italy) in 1939, manufactures skis, ski boots, and accessories for skiing. 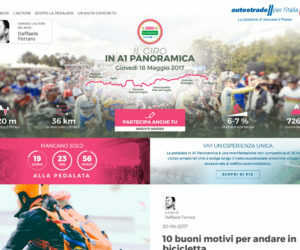 It is part of the Tecnica Group since 2003. 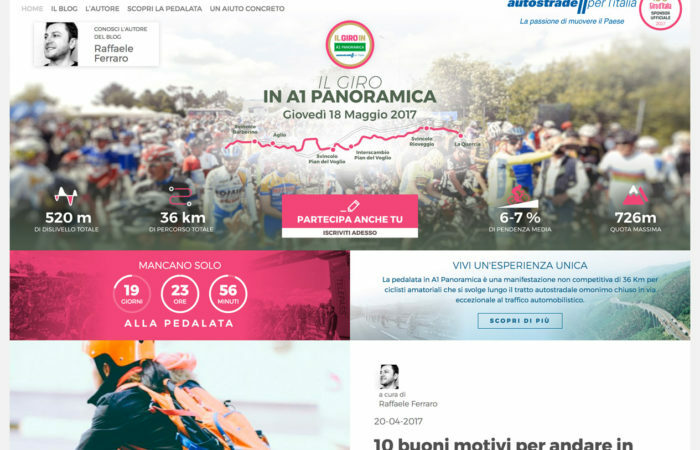 Blog for a bike ride on the panoramic Apennine motorway between Florence and Bologna, during the 100th Giro d’Italia. 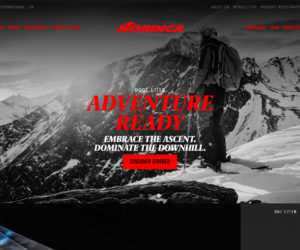 Developed with an early version of Bootstrap 4. 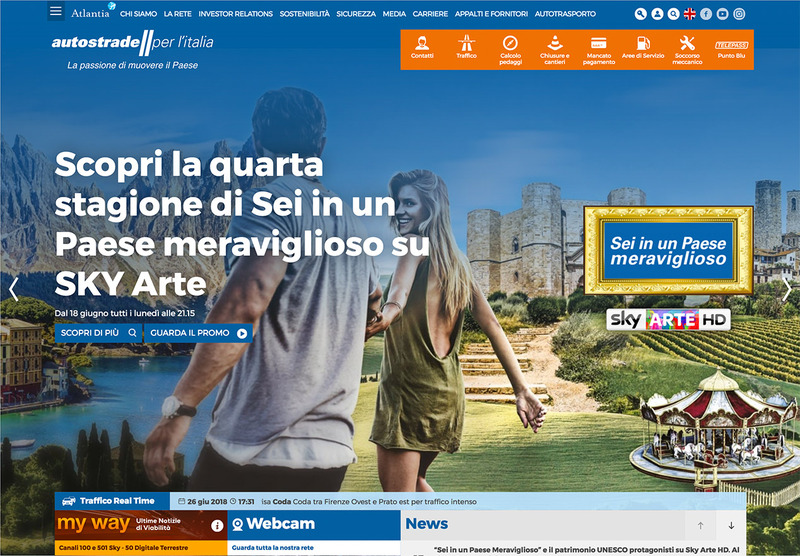 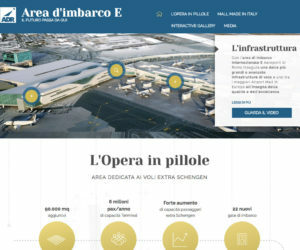 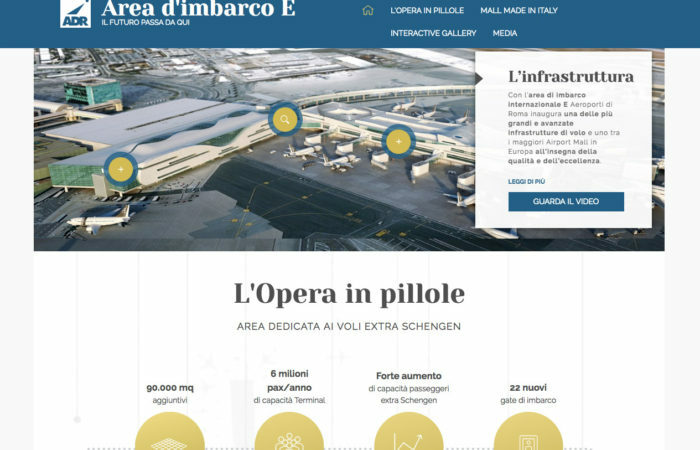 Landing page for the new boarding area of Rome Fiumicino airport, one of the largest and most advanced flight infrastuctures and one of the largest Airport Shopping Centres in Europe. 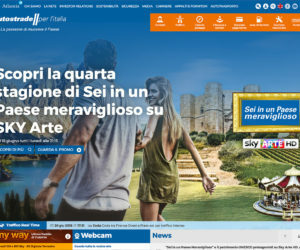 Busforfun is a mobility company that offers bus connections from more than 250 locations and to the most important events and amusement centres in Italy, Austria, Slovenia and Croatia. 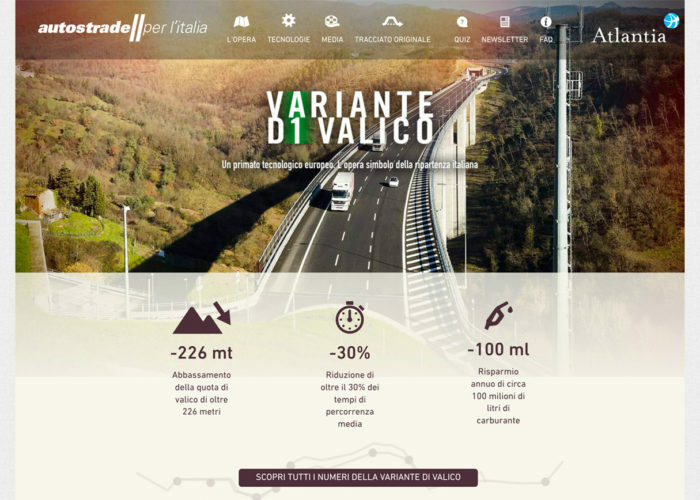 Variante di Valico is a deviation of the Italian A1 motorway opened to traffic on 23 December 2015. 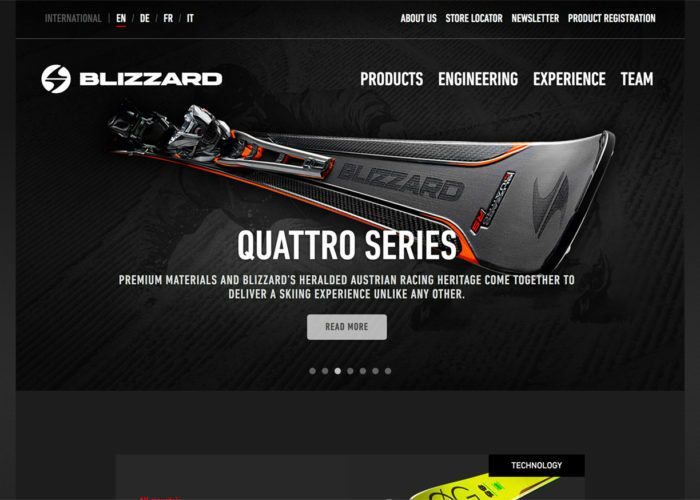 Blizzard is a division of Tecnica Group Spa and is specialized in the manufacturing of Austrian alpine ski.